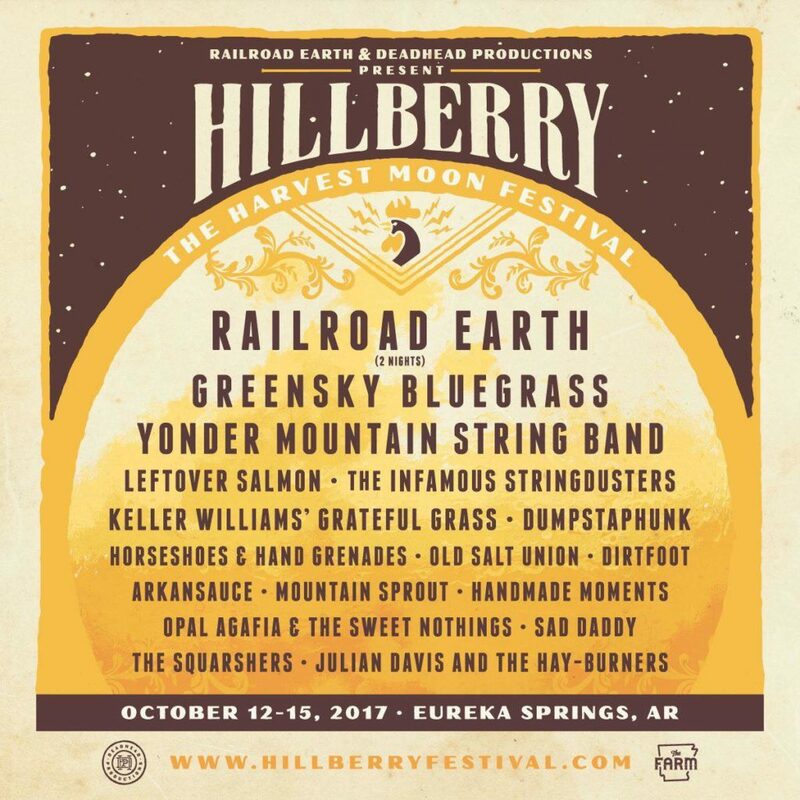 Deadhead Productions and Railroad Earth throw a Harvest Moon Festival every year in the beautiful Ozark Mountains called Hillberry Harvest Moon Festival. The festival takes place mid October over the weekend of the 12th-15th at a cozy and breathtakingly beautiful venue called The Farm in Eureka Springs, Arkansas. Today the final line-up for the festival was released and to say it is dreamy would be a huge understatement. The additions include Yonder Mountain String Band, The Infamous Stringdusters, Horseshoes & Hand Grenades, Old Salt Union, Dirtfoot, Opal Agafia & The Sweet Nothings, The Squarshers and Julian Davis and The Hay-Burners. Get more familiar with this family-friendly Fall experience by reading about our experience at last year’s Hillberry Festival.